Joining me today is a lovely lady whom I had the pleasure of meeting at last year’s Crooked Cat author bash. 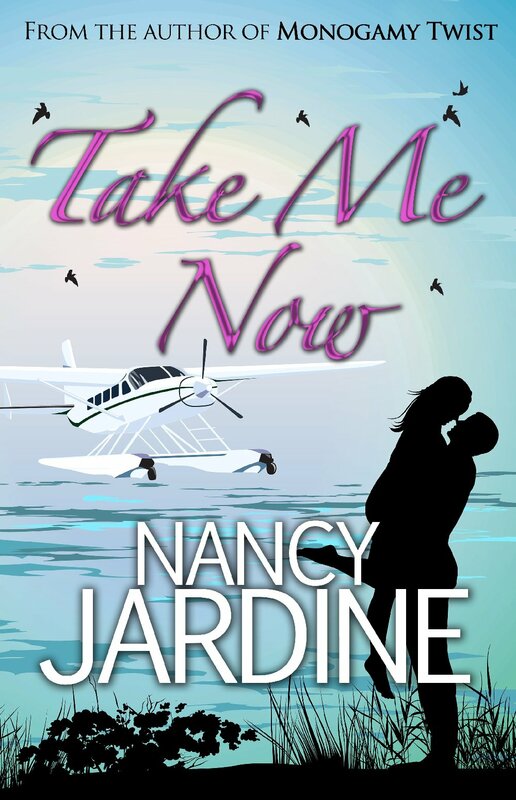 Nancy Jardine is a prolific author who squeezes more out of each day than anyone else I know. She wrote a great guest post for me about using photos and I’m delighted to welcome her back for a session on the chaise longue. Vanessa: Hi, Nancy, and thanks for joining me on the chaise longue. When did you start writing fiction and what inspired you to do so? Nancy: A primary teacher from 1974, I’d no inclination to write my own novels for publication. Any fiction writing I did was entirely for use in my classes as ‘scaffolding/ samples’ for the pupils to create their own short stories – though I never kept any of that writing. My first published writing was a non-fiction book created voluntarily in 1999, 50 copies of which were distributed to local schools. That was followed by a second non-fiction book in 2005, 350 copies of which were published and sold at a special school ‘Open Day’. The lovely compliments on how well the second book was written (self-edited with a little proof reading by my husband) made me think that perhaps I should have a go at fiction. And truth be told, the ‘mercenary me’ kicked in since I decided that if any profit was to come from my next writing then it should be me and not the school funds which would benefit! I began the very first drafts of The Taexali Game and The Beltane Choice around that time, though neither was polished to publication stages for a long time. You are a versatile author, penning historical romantic adventures, intriguing contemporary mystery thrillers and YA time travel historical adventures. Do you have a preference among these genres and is there a unifying thread running through them? No preference since I’ve loved writing all the genres for different reasons and satisfactions. My Celtic Fervour Series and The Taexali Game, Book 1 of my Rubidium Time Travel Series are set in Roman Britain, though during different time periods. The former set of three books cover the period from AD 71–AD 84 during Agricolan Roman Britain and The Taexali Game era is that of Roman Britain during the reign of the Roman Emperor Severus, AD 210. My contemporary work was meant to be a complete break from doing historical research and creating settings in the distant past but I found it all too easy to sneak in an element of history. I created ancestral family tree structures for Monogamy Twist and Topaz Eyes. These trees gave me the characters I needed over three or four generations of a family, many of those characters being nice and others downright nasty. Unravelling the historical plot layers over the three or so generations allowed me to go back to Victorian times, which in turn meant I could ‘add’ information about those earlier eras. In complete contrast is Take Me Now which Crooked Cat Publishing re-launched on 5th June 2015. That’s full of wonderful contemporary locations and is what I call my corporate sabotage mystery, since there’s a saboteur out to harm both Nairn Malcolm and his business. I found this book a delight to write since it’s a light-hearted humorous contemporary romantic mystery and very different from my other writing. Your historical fiction often focuses on the period of the Roman occupation of Britain. Why did you choose that period? I’ve always been a bit obsessed with Roman/Celtic Britain, and I loved teaching the topic which was loosely named ‘Romans and Celts’ to my pupils aged 11-12 years old. I’ve been an avid reader of historical fiction since my teens and I’ve found there aren’t all that many novels set in late first century northern Roman Britain (Agricolan period) so I chose to use that period and location for The Beltane Choice. 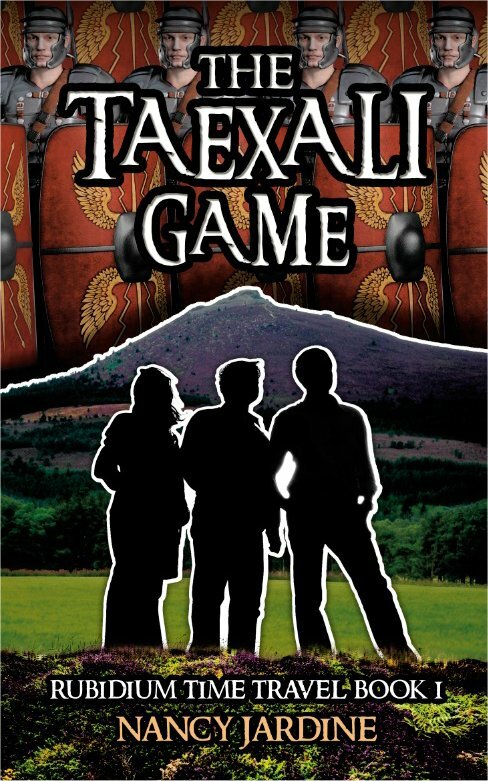 The Taexali Game was always intended as a companion class novel for kids/teens learning about Roman Scotland in particular but I purposely chose the Severan era of AD 210 for this YA novel, since it was the second (and last) huge Roman Invasion of north-east Scotland. Your recent The Taexali Game, is a YA time travel story. The YA market is very different from the adult fiction market, so how do you ‘tune into’ it. I was still teaching primary kids when I wrote the earliest drafts of what eventually became The Taexali Game. I was aiming for a reading ability and author ‘voice’ which my top average to better readers would cope with in my classes. The novels these kids were reading as group readers were books like Phillip Pullman’s Northern Lights; Rick Riordan’s Percy Jackson Series; The Hobbit. There’s an adult level of sophistication in the books of Pullman or Tolkein (though slightly less so in the Riordan ones) and other similar books in the reading scheme which gave me a bench-mark to work from. The Taexali Game is marketed on Amazon for an Early Teen/YA readership but I admit to not knowing enough yet about how to effectively promote to this group! There are still plenty of learning curves to be negotiated. What’s the biggest lesson you have learned from becoming a published author? I could say more about what I haven’t learned to do properly! Even though I’ve now had 7 books published, I’m not good at organising my daily time-management in terms of setting realistic time aside for the marketing of my books (i.e. all the non-new writing tasks) and leaving enough time to get on with new writing. I’ve seen the traffic to my blog diminish over the last year as I’ve been struggling to fit blogging into my timetable, which is a pity since I had a daily click level of some 250-400 visits during 2013/early 2014. That’s dwindled to around 100 a day. If the blog readership made any difference to sales of books, and I’m not yet convinced of that, then I have to find the time to rekindle the traffic. Tell us a bit about your work(s) in progress and your writing plans. I’m around 14 thou words into Book 4 of my Celtic Fervour Series which takes Garrigill clan members further north to the Moray Firth area of Scotland when Agricolan troops are still marauding there. Later in the book, some of my characters will be heading down south to rescue a family member who has been enslaved down in Eboracum (York). At least that’s the plan at present, though once the writing flows that may change. I’ve got a broad outline made and have already begun a family saga (around 17 thousand words done) which begins in Scotland in Victorian times (1850). This saga will probably be over 3 books, though time will tell about that. Book 2 has been plotted for my Rubidium Time Travel Series. This is also conveniently set in Victorian Scotland of 1884. (Perhaps you’re seeing a method to my research madness here?) Which will get my immediate attention I don’t yet know but as of tomorrow I’ve no excuses for not getting stuck in! Vanessa: I’m weak with admiration for all this, Nancy! A very nice one would be…my contemporary mystery Topaz Eyes being a finalist for THE PEOPLE’S BOOK PRIZE 2014. Attending the Award Ceremony at ‘Stationer’s Hall’ in London, otherwise known as The Guildhall of The Worshipful Company of Stationers and Newspaper Makers, was a thrill: the surroundings impressive. An amusing one occurred at a recent Craft Fair where I was selling my novels. During a lovely conversation about the Ancient Roman presence in Aberdeenshire, a potential customer asked if Book 4 of my Celtic Fervour Series was going to be published soon. Then I discovered he was the person I’d been seeking to thank for ages! He’d posted a 5* review for each book in my Celtic Fervour Series on Amazon UK one memorable weekend. I don’t have all that many reviews for my novels and to get three 5*s in one day was fabulous! I was even more delighted to hear that he’d been given the books as a birthday gift from his mother who was hopeful he’d like them. Thank you for inviting me to witter on today, Vanessa. I need to ‘get out’ blogging more so it’s been lovely to visit you again. …and LinkedIn; Pinterest; About Me etc. Copyright © Nancy Jardine, Vanessa Couchman 2015. All rights reserved. 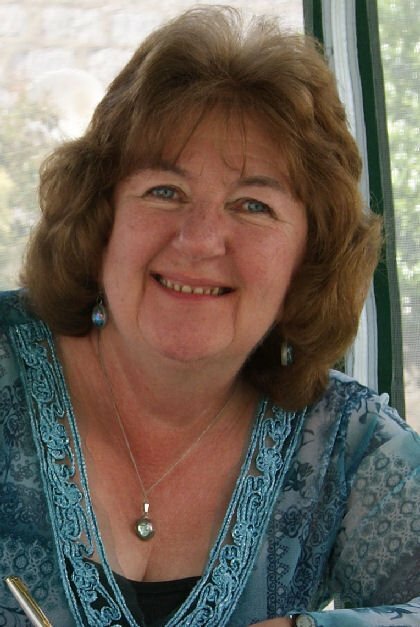 This entry was posted in Author interviews, Fiction and tagged author interview, Crooked Cat Publishing, fiction, historical fiction, Nancy Jardine, romantic fiction, Take Me Now, The Taexali Game, Young Adult fiction by nessafrance. Bookmark the permalink. Oops! It should read ‘lot’ and mentally add a few missing commas, please! No worries, Nancy. I do this all the time – usually because of more haste, less speed. Great to welcome you back, Nancy. Good luck with your writing today!